David Leroy Nickens was probably the first African American to be ordained as a minister in Ohio. Nickens was born a slave in Virginia in 1794. It is unclear how Nickens attained his freedom, but by 1806, he and his parents had moved to Chillicothe, Ohio. Nickens received an education in Cincinnati, Ohio, returning to Chillicothe as an adult. 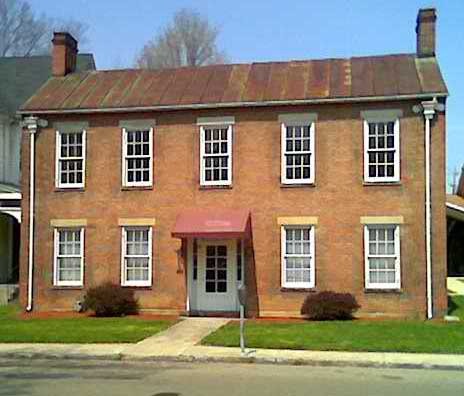 In 1824, Nickens helped found the First Regular African Baptist Church of Christ of Chillicothe, the predecessor of the First Anti-slavery Baptist Church and of the First Baptist Church. This church was originally an African-American church. Nickens served as one of the church's earliest pastors, becoming probably the first ordained African-American pastor in Ohio in October 1824. The church and its members were committed to ending slavery and actively assisted runaway slaves in escaping along the Underground Railroad. Illustrating the desire to end slavery, during the 1830s, the congregation changed the church's name to the First Anti-slavery Baptist Church of Chillicothe. Nickens, himself, hid runaway slaves in his home in Chillicothe. In 1836, Nickens and his family moved to Cincinnati. Here, Nickens helped found the African Union Baptist Church. He served as this church's lead pastor until his death in 1838. The African Union Baptist Church formed due to discrimination that African Americans faced in Cincinnati's predominantly white churches. The African Union Baptist Church was the first African-American church in Cincinnati. Nickens illustrates the prejudice that existed in Ohio during the years before the American Civil War. Ohio was a state that did not allow slavery. Nevertheless, that did not mean that whites were open to granting African Americans equal rights. Free blacks found that it was difficult to get fair treatment, and they often formed their own communities and institutions away from whites. Taylor, Nikki Marie. Frontiers of Freedom: Cincinnati's Black Community, 1802-1868. Athens: Ohio University Press, 2005.